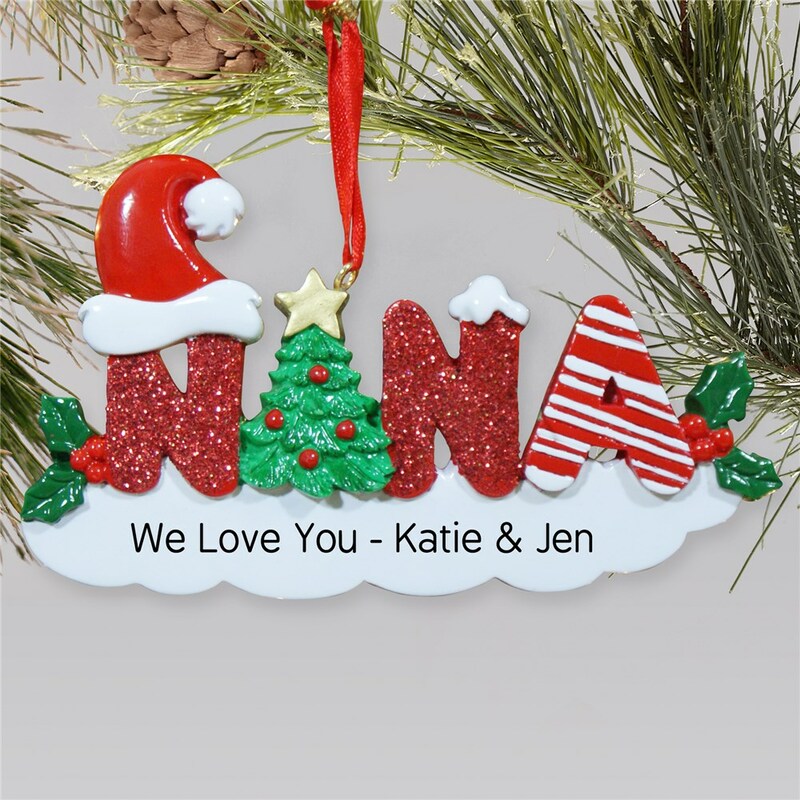 Your Nana is going to love this beautifully hand painted Personalized Christmas Ornament, especially since it comes with a special message from her grandchildren. She'll feel so loved and special when she receives this holiday surprise. 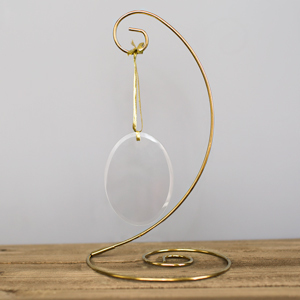 This resin ornament is individually hand painted and measures, 3.5" x 3.75". 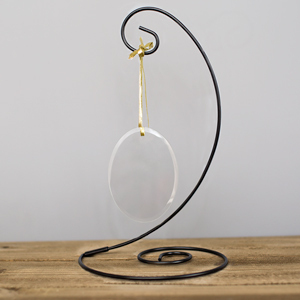 Each includes ribbon loop. Personalize with any one line custom message. Nana won't be expecting a gift that's so sentimental and meaningful. We have a feeling she'll be touched by this one! I bought this as a gift for my mother from my nephew. She loved it! She almost cried! It's hard to find things that say Nana. It came exactly as pictured & it came in the time frame it was supposed to. I was very pleased & would definitely order again! my favorite, all the ornaments I ordered were beyond my expectations.